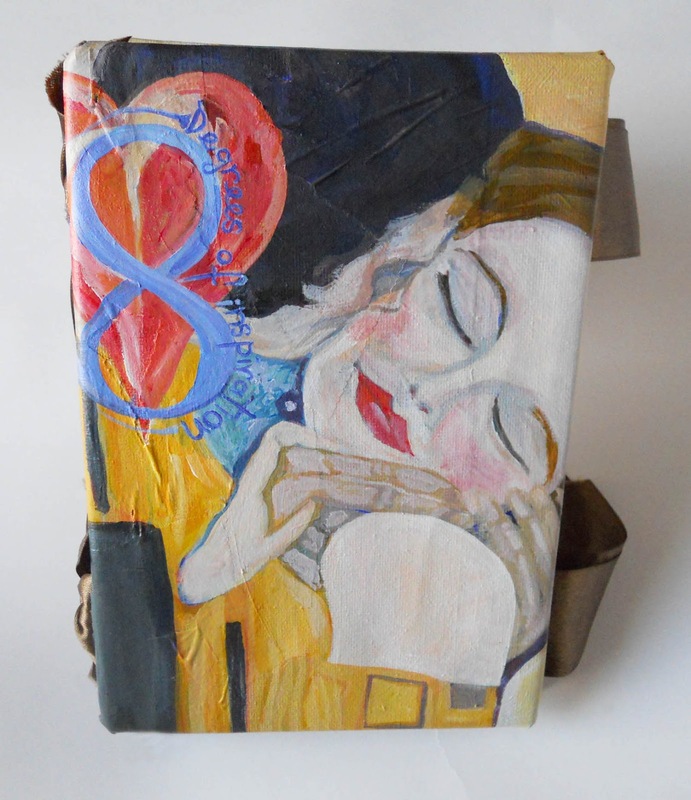 I've finished my pages in Stephanie's journal for our Round Robin swap. Steph hinted she might like a mermaid . . . I hope she likes this one. 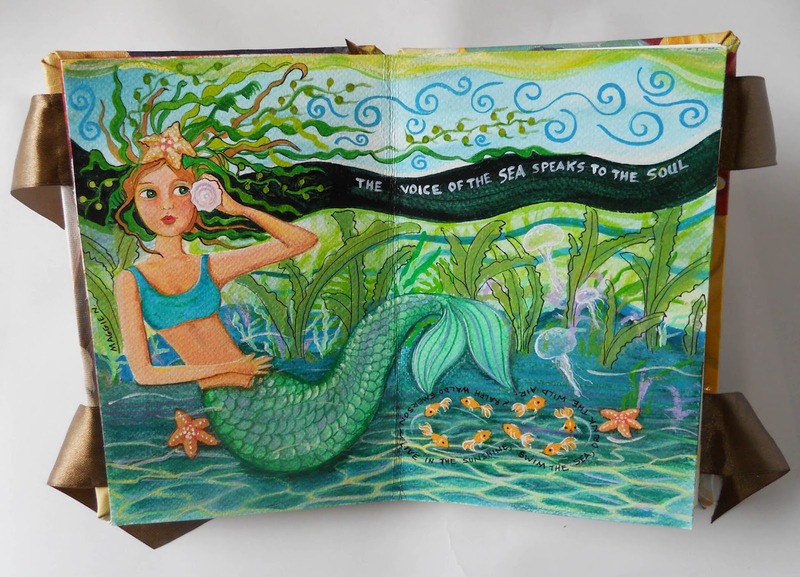 Of course, this one's like all young mermaids, a shell phone glued to her ear. She would rather talk than text, which is a bit unusual. they are having their own fun. 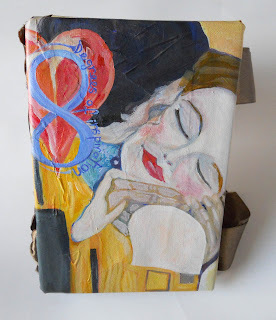 The journal will be on its way to Lisa soon, for her to add her magic! I'm the very first one to add my pages to this journal, a bit scary at first. I already have Kim's book to start next. Will do a post on it soon! reciprocate the visits. So for now, no PPF. Visit there today though if you get the chance! You'll be inspired! PPF button is in my sidebar. 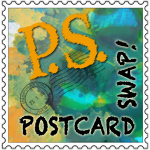 Don't forget the Postcard Swap at Inspiration Avenue! You can still sign up until April 29. This is going to be tons of creative fun! Oh WOW, wow, WOW! I am in love with this beautiful mermaid and I can't believe she is for ME!!! Also, I love the quote you chose to use- wonderful! You just made my day!!! 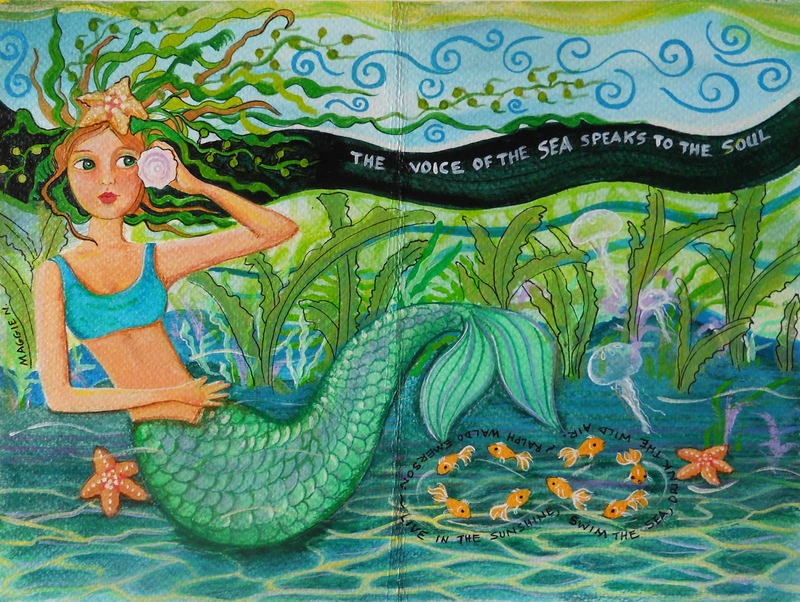 especially the mermaiden...what fantastic pages. How will I ever live up to that? Oh no...I almost left without mentioning your new header! It is so perfect! I love the colors, the realism and the whimsy. So that's what a real Magpie looks like, I never knew. She is a darling mermaid, and has a sweet expression on her face. And your blog header is really, really fanciful! Love it. Thank you Nancy! I'm heading over for a blog visit soon! Thank you Angie! The Round Robin is proving to be so exciting! Maggie, your pages are BEAUTIFUL!! You are such a talented artist. I love the cute shell phone and the school of 8 fish. You did such a wonderful job. Geez, I really feel like the pressure is on. :) Your artwork is always inspiring. I keep saying you need to illustrate for children's books. Heehee, Tammy. I wish I could find a children's book that needed to be illustrated :) It sounds like so much fun! See you on IA this week! Oh this is super super gorgeous!!! I can't believe you were ever nervous because your artwork is stunning!! I'm glad I didn't peek at this before I sent my pages in Angie's journal off otherwise I'd have got very self-critical & worried I wasn't good enough, lol. I posted my pages today if you want to peek. Maggie, I absolutely love your mermaid! I must admit I'm envious.